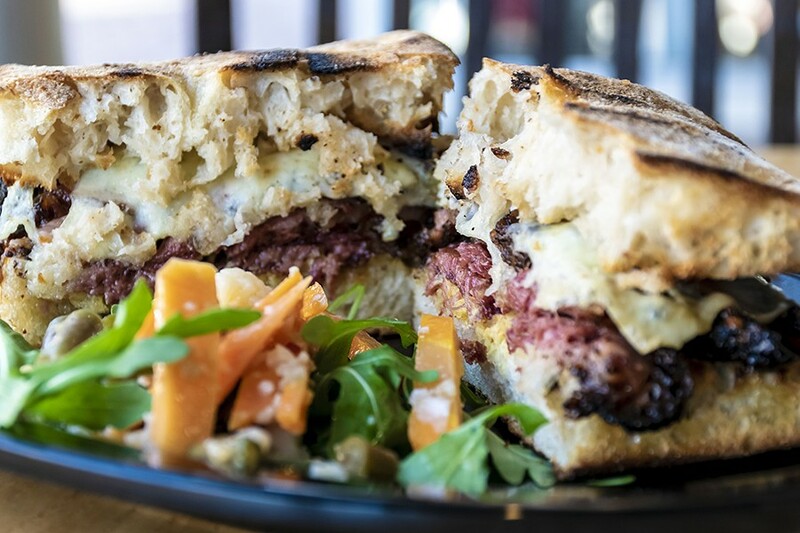 A pressed riff on a muffuletta. 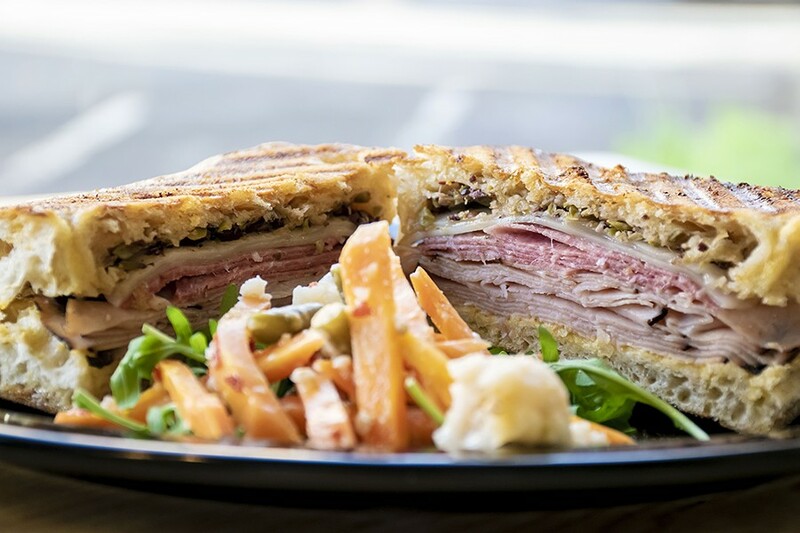 The ciabatta shows up again panini-pressed around the Muffuletta ($11), rather than the big, soft, round Italian namesake loaf the traditional New Orleans sandwich is made on. It is, however, generously layered with salami, ham, provolone, tangy olive tapenade and Dijon, which you might ask to go easy on if you're not a fan of strong mustard. The giardiniera stays on the side and the mortadella stays on the bench, but, departures from the standard recipe aside, it's a meaty joy worth the napkins you'll need. Serious cheesecake at Delish on 5th. 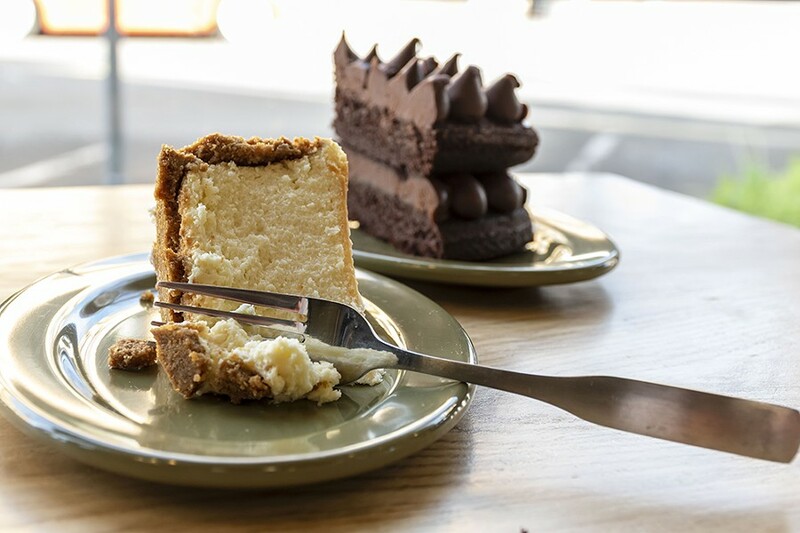 The sea salted chocolate chip cookies are marvelous but if you've got room, invest in a hefty wedge of cheesecake ($4.25). A pinky-thick graham cracker crust cradles the fluffy, creamy filling — listen as your fork makes its way through to the plate and fully appreciate the experience.